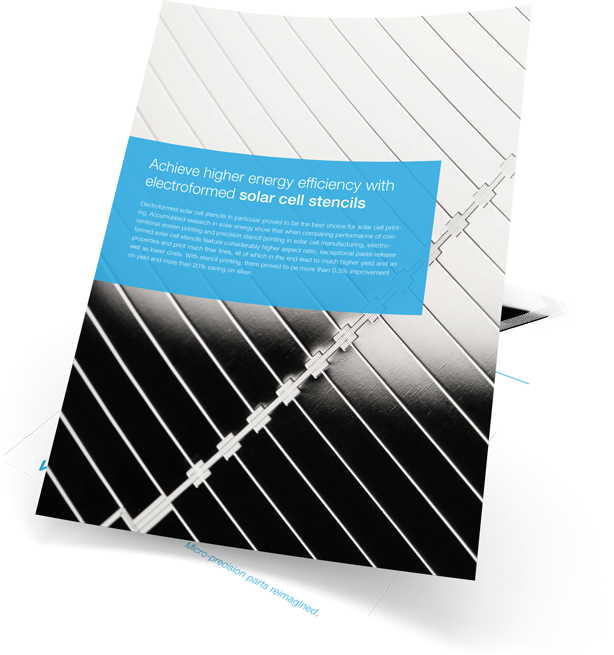 Download application note "Solar Cell Stencils"
Download the application form for more information! Electroformed solar cell stencils in particular proved to be the best choice for solar cell printing. Trends and industry demands of solar cell printing.